CEC Marketing Ltd are specialists in B2B lead generation: in essence, they find lists of potential new clients for businesses and help them convert these ‘leads’ into sales. 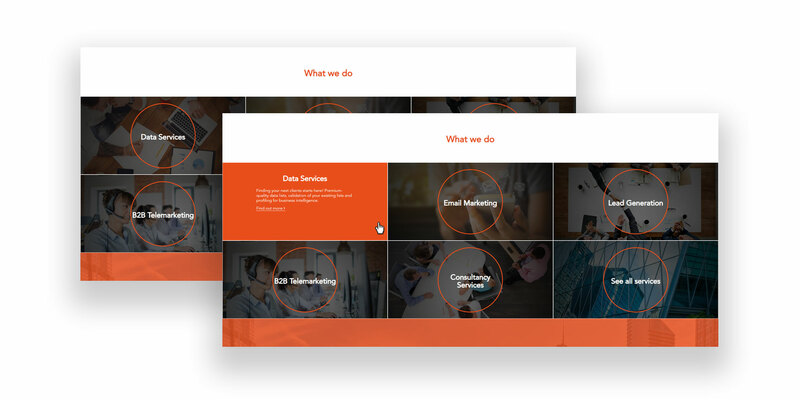 To fulfil this, they offer a number of services including sourcing databases of leads, business-to-business email marketing campaigns and telemarketing. Founder Christine Cockerton brings over 20 years of wide industry experience to CEC. 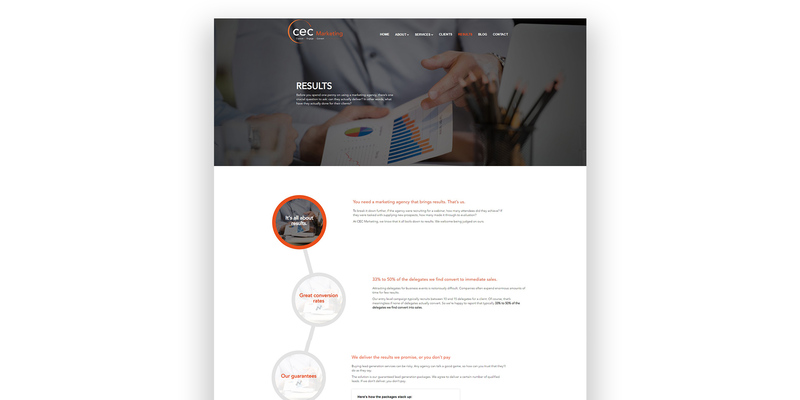 CEC Marketing needed a site with strong headline messages and imagery that their target audience could identify with. The company’s byline of ‘capture, engage and convert’ had to be an integral part of the copy. As usual, existing logos and branding colours had to be incorporated. One challenge in creating the CEC Marketing site lay in writing suitable content. 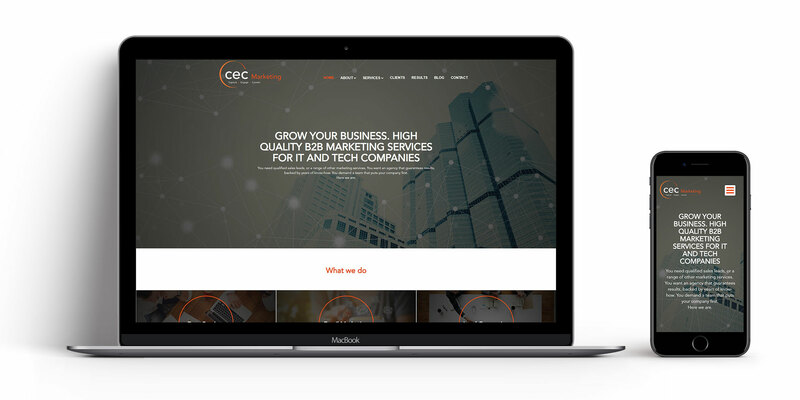 CEC felt that their previous site made lead generation services seem inaccessible to smaller businesses. The new site had to point out what lead generation services involved and why they could benefit smaller businesses. At the same time, it needed to use technical vocabulary that was appropriate for educated professionals. After several several drafts, we managed to hit the sweet spot that satisfied both criteria, as well as incorporating CEC’s major selling points.